" Your Memere was always such a sweet person to speak with,..."
"Dear Pat and family, deepest sympathy at the loss of your..."
WATERVILLE - On Feb. 3, 2019, Althea Marie (Tardiff) Noel passed away peacefully, surrounded by loving family, at the home of her daughter, Patricia, where she has lived for the past 19 years. Born May 5, 1920, on a farm in Clinton, Maine, to Annie (Aspiro) and Fred Tardiff, Althea's mother died while giving birth. Weighing only 1.5 lbs., her maternal grandmother placed her in a shoe box on the oven door to keep her warm. Always amazed with the story of her birth, she would frequently share it with others. From the day she was born, Althea was raised by her maternal Grandmother Grenier. After her grandmother passed, she, at the age of 15, was welcomed into the home of her Uncle Reny, his wife, Grace, and their children, Alton and Pauline; who became like brother and sister to her. After attending Winslow public schools, Althea worked at Hollingsworth & Whitney, where she would meet her soon to be husband of 53 years, Raymond (Bill) Noel. After her retirement from Scott Paper Company, Althea worked in the school kitchen at the Sacred Heart School. In 1990, she retired as Head Cook of Waterville Senior High School, a position she loved dearly. For many years after her retirement from Waterville High School, she provided daycare to her great grandson, Zachary, with which she shares a special bond. 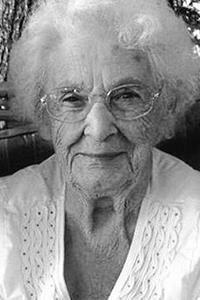 Althea enjoyed reading, playing bingo, jigsaw puzzles and most recently, solitaire played on her iPad. More than anything, she loved her family and their summers spent together at their camp on Snow Pond. The laughter and memories made while sitting by the lake, sharing stories of old, will be cherished by all. Althea is predeceased by her husband, Raymond (Bill) Noel; parents, Frederick Tardiff and Annie (Aspiro) Tardiff; maternal grandmother, Malvina (Aspiro) Grenier; sister, Theda Talbot; stepmother, Anna (Cyr) Tardiff; half-brothers, Gerard and Norman Tardiff; half-sister, Alfreda Tardiff; step-sisters, Jeanine (Cormier) Blait, Loretta (Cormier) McDonald and Pauline (Cormier) Cloutier; and many Noel family members that she was very close to. Althea is survived by her two daughters, Patricia (Noel) Vintinner and husband, Elliott (deceased), of Waterville and Cynthia (Noel) St. Pierre and husband, Robert (Sanky), of Waterville; seven grandchildren, Andrea (Vintinner) Disch and husband, Robert, of Waterville; Allison (St. Pierre) Fluet and husband, Steve, of Cumberland, Jennifer (Vintinner) Cabana of Waterville, Jeffrey Vintinner and wife, Kris (Zack), of West Gardiner, Danny St. Pierre and wife, Angel (Barry), of Belgrade, Jody (St. Pierre) Nutting and husband, Dan, of Scarborough, Joey St. Pierre and wife, Crystal (Bolduc), of Waterville; 16 great-grandchildren, Tyler Cabana, Griffin Fluet, Zachary Disch, Zoey Fluet, Emily Cabana, Sarah Cabana, Justin Vintinner, Mackenzie St. Pierre, Maddy St. Pierre, Phineas Nutting, Paige St. Pierre, Brady Fluet, Blake Vintinner and Hudson Nutting; stepgrandchildren, Katie Zack and Johnny Zack; two sisters, Sister Doris Tardiff, SGM, of Lexington, Mass., and Sister Anne S. Tardiff, CSC, of Alexandria, Va.; one sister-in-law, Julie Donahue of Benton; and many cousins, nieces and nephews. Visiting hours will be from 2-4 p.m. and 6-8 p.m. on Sunday, February 10, at Lawry Brothers Funeral Home, 107 Main St., Fairfield.A Mass of Christian Burial will be celebrated at 9 a.m. on Monday, February 11, at Notre Dame Catholic Church on Silver Street in Waterville. Burial will be at St. Francis Catholic Cemetery in Waterville in the spring. The family sincerely wishes to thank all the wonderful staff from hospice.An online guestbook may be signed, and memories shared at www.familyfirstfuneralhomes.com.Arrangements are by Lawry Brothers Funeral & Cremation Care, 107 Main St., Fairfield.